Ecuador is the 2nd smallest country in South America but one of the most biologically diverse places on the planet, with at least 25,000 plants species, 1600 of birds, 4500 butterflies, 3500 orchids, and more species of mammals and amphibians per square meter than any other place on Earth. The name Ecuador is derived from, of course, the Equator. 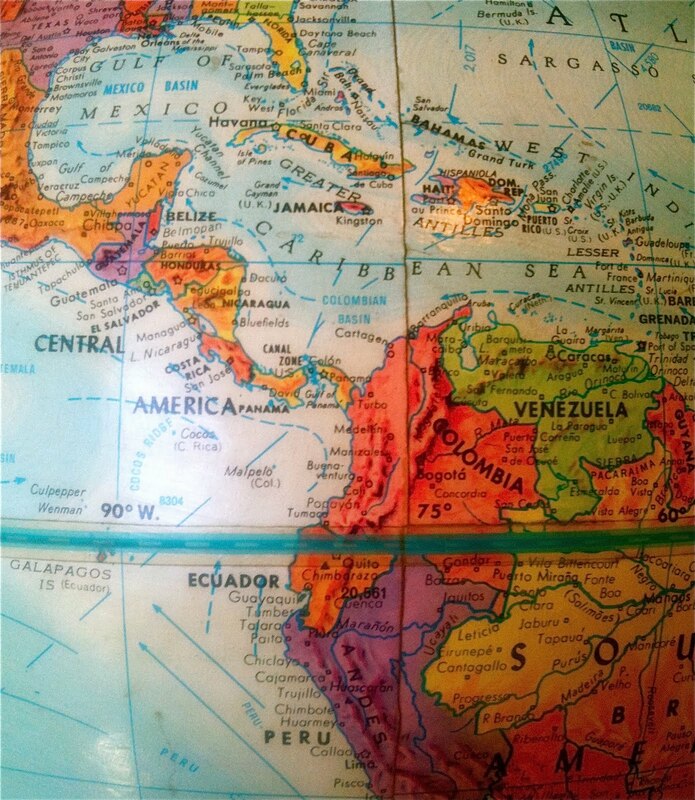 The land is roughly divided into three main geographical regions: the western coastal area, the central Andes mountains (the sierra, punctuated by 30 volcanos), and el Oriente (the East, or the Amazon basin). 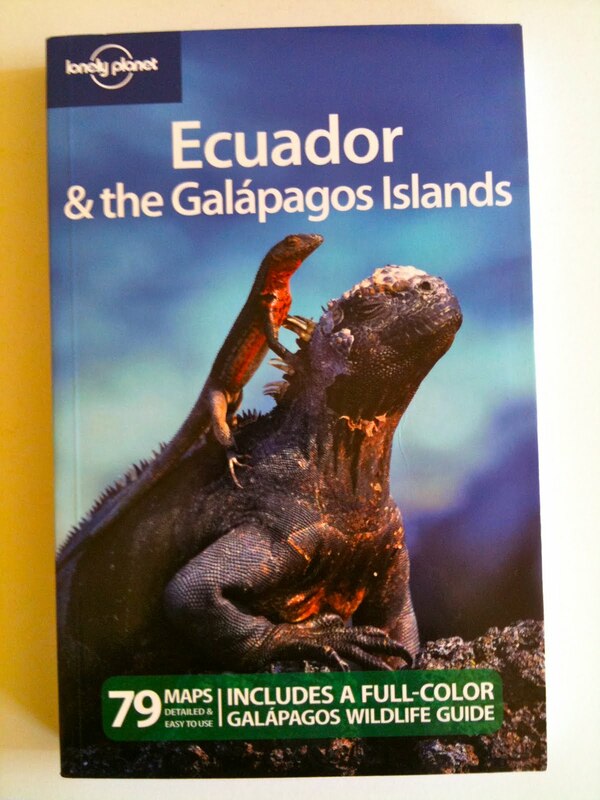 Make that four, because 600 miles west of mainland Ecuador are the Galápagos Islands (annexed in 1832). In 2000 Ecuador adopted the US dollar as its national currency. The Panama hat originated in Ecuador. Although it's a dying craft, the finest versions are still handmade in the towns of Montecristi and Cuenca. Murphy's Law. Spend an afternoon getting immunization shots for hepatitis A, tetanus, typhoid and yellow fever, and suddenly your friends and strangers alike will take up the gregarious but untimely habit of smacking you on the arm whenever they make a point or crack a joke. Whatever you do, it seems, stay away from the border with Colombia. In one week I'm going to Ecuador with my mother Ginger, my sister Molly, and a good friend of the family, Mike. 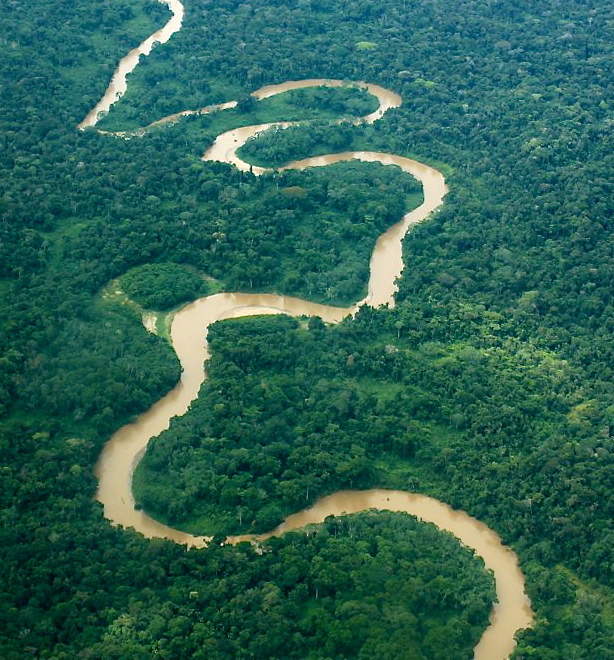 In one weeks and two days we're spending four nights at an Ecolodge on the banks of the Shiripuno River (a tributary of the Curaray River, which is a tributary of the Amazon), home to and operated by the indigenous Huaorani people. The Huaorani and the white man first laid eyes on each other in the 1950's, when our thirst for oil and the region's untapped riches spurred exploration into the remote Amazon basin. That's not the 1850's, people, that's the 1950's! Since then, some of their sub-clans have decided to eschew further contact with the modern world, have moved deeper into Yasuni National Park, Ecuador's largest, and would (this is putting it kindly) prefer to be left alone. If the four of us make it out of the Amazon alive, we will then fly to the Galápagos Islands: four nights on the biggest island of Isabela, followed by eight nights touring the myriad outer islands onboard Beluga, a luxury first class motor yacht that sleeps 16 people. I will probably see a booby, both red-footed and blue-footed. With a little luck I will snorkel with hammerhead sharks. Maybe with a Galápagos penguin. Charles Darwin first published On the Origin of Species in November 1859. The original title was On the Origin of Species by Natural Selection, or the Preservation of Favoured Races in the Struggle for Life. Not as catchy, that last one, but the work is still considered the foundation of evolutionary biology. It's 11:52 p.m. right now in California, which means it's 1:52 a.m. in Ecuador (Don't think they observe Daylight Savings Time down there on the Equator). From San Francisco, via Houston on Continental Airlines, it takes a mere 8.5 hours of flight time to get to Quito. Based on my guide book and the research I've done online, Ecuador is a land of plenty in the food department, and you can eat well for little dinero. The list of regional fare I want to try is getting longer by the day: secos de chivo (goat stew), locro (potato, corn and avocado soup), sopa de verde (plantain soup), empanadas (both meat and vegetable), llapingachos (cheesy potato cakes), mote (a hard-grained local corn, cooked in salt water), fritada (crispy fried pork, often served with mote), quinoa, yucca, perhaps in el Oriente even piraña. Not yet sure about puy, that Guinea pig. During our three-week stay in Ecuador I will probably tear up, maybe even cry a bit. Several times. Not from sadness - and hopefully not because I'm stuck inside a hotel room or a thatched hut or a port-side cabin, perched on the toilet with a nasty bout of la tourista - but from sheer and overwhelming delight. From the mind-boggling miracle of it all: the gift of travel in the 21st Century, of being able to witness, first-hand, the varied, far-flung landscapes of Planet Earth; the color and complexity of foreign cultures, the chance to mingle in the unique, sometimes mysterious customs and histories they inhabit; the exotic flora and fauna with which we share our world, to glimpse even for a moment the beautiful, bizarre diversity and interconnectedness of life. 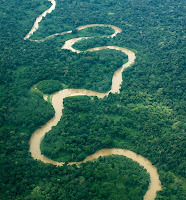 Much - mucho (Spanish) nangi (Huaorani) - more.